As long as my new co-workers were even half as awesome as my old ones, I knew I would be ok, and they did not disappoint. My new co-worker Lina recognised my earrings right away, and the next day I wore some others I had been playing around with! 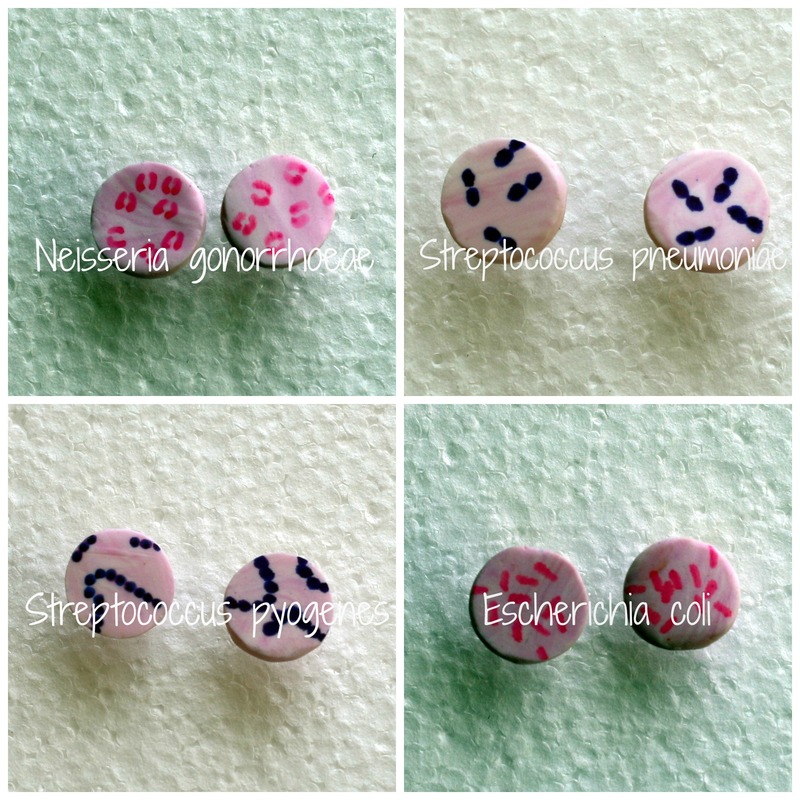 I made them in pretty much the same way as the mycobacteria earrings, but instead of using white and blue for the background of the ZN stain, this time the background material in a Gram stain shows up pink due to the counterstain of safranin, or neutral red, so I used a whole lot of white with a little bit of pink. This time around I also spent a little more time smoothing off the edges using an old emery board! 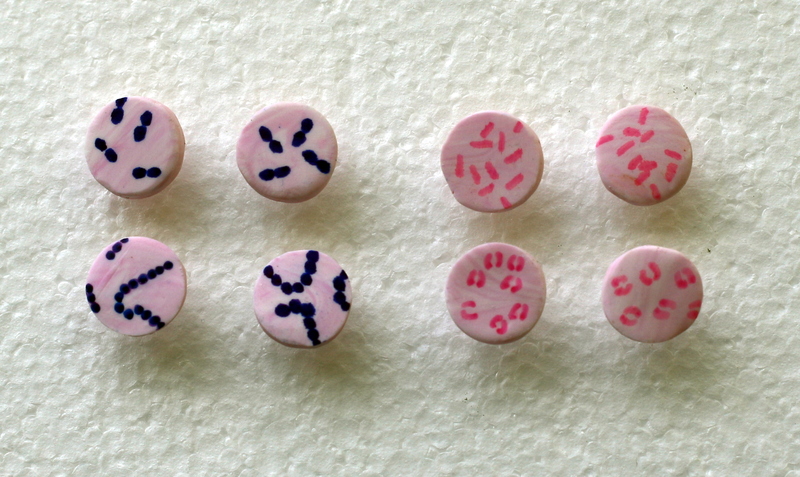 In a Gram stained film, Gram-positive organisms show up a dark bluey-purple, and Gram-negatives pink. So, what little beasties do we have here? It was also an ideal excuse to get out my Silhouette Cameo, and the new sketch pens that my brother sent me for my birthday, so I could make some sort of pretty thing to display them on. Finally just some holes poked through with a pin, and they were complete! Cute non? 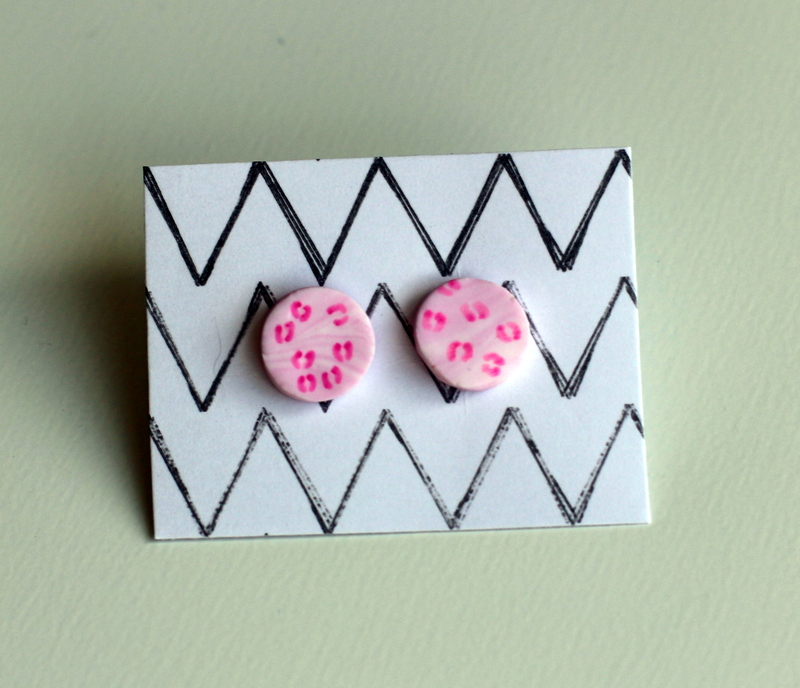 She was having a bad case of the Mondays, but then I gave her the earrings and she was feeling happier! She put them in and wore them the rest of the day! Haha! Perhaps I will do a giveaway one day!